Moonjune Records keeps the fusion fuse burning brightly. Here are three recent releases that confirm the dynamic nature of the animal. 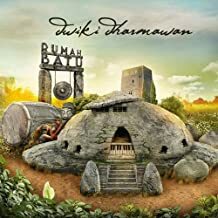 Indonesian pianist Dwiki Dharmawan teams up with a dynamic core of Nguyen Le/g, Carles Benavent/b, Yaron Stavi/b, Asaf Sirkis/dr and guests including Sa’at Syah/fl-voc and Ade Rudiana/perc for a mix of rocking rhythms exotic harmonies. Syah’s woody folk flute glides over the peppy percussion on pieces such as “Rintak Rebana” while riding the wondrous and dramatic waves provided by keyboards and guitar during “Imenan.” Dharmawan’s piano can go romantic as he teams with wondrous voices on “Rumah Batu Suite” while he leads the team through intricate themes and dizzying side roads during “Janger” and the climactic “Samarkand.” Rich South Asian voices and harmonies give a glorious optimism to “Selamatkan Orang Utan,” mixing spicy sounds like a curry. Welcoming themes. Guitarist Mark Wingfield creates “soundscapes” with a team of Yaron Stavi/b, Asaf Sirkis/dr and Dominique Vantomme/synth on a sublime melding of colors. 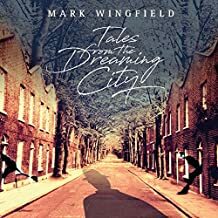 Wingfield displays a wide vibrato on his string giving emotion to pieces like the snappy “The Fifth Window” and the lyrical “Sunlight” with support by Stavi’s fretless strings. The team gives a hint of Pat Metheny’s optimism on upbeat and driving “The Place Up Against the Sky” while getting funky on “A Wind Blows Down Turnpike Lane.” Ominous moods create dark clouds for the plodding “I Wonder How Many Miles I’ve Fallen” and the sinister “Ten Mile Bank” while the band gets folksy on “The Green-Faced Timekeepers.” Modern movements. Who’d ever make a bet on the music of Bela Bartok and King Crimson being featured at the same concert? 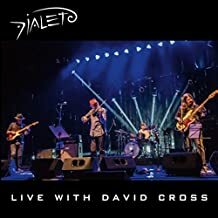 Well, guess again, as KC alumnus David Cross brings his violin to join in with a lion’s share of the material performed by Nelson Coelho/g, Gabriel Costa/b and Fred Barley/dr. The first eight pieces are from the pen of modern classicist Bela Bartok, and the themes work amazingly well. The team thunders to Costa’s bass on “Stick Game” and does some fiendishly intricate work on the dark “Peasant Costume. With Cross joining the stage, the band has some kinetic metal give frantic sharp corners on “Mikrokosmos 113” before digging into his days with Robert Fripp. Misty pulsations and strings make up “Exiles,” hard hitting thunder shakes the foundations during “Tonk” and Coelho’s guitar sears along with the frantic “The Talking Drum.” Acute angles are created during “Larks’ Tongues in Aspic, Part Two, and wondrous landscapes close things out on “Starless.” 21st Century fusion man, indeed!